When you talk to Deb Vangellow you quickly become aware that you are dealing with someone with incredible passion for golf and teaching the game. The LPGA Master Professional and President of the LPGA’s Teaching and Club Professionals is spearheading the effort to help her members make their mark on the game, by offering educational resources and opportunities to allow them to develop their own specialty and style. 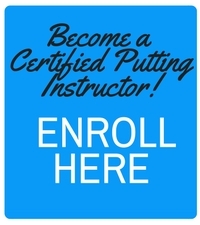 The Certified Putting Instructor (CPI) Course is one such resource that Vangellow sees as being essential to the development of her members. “I wanted to offer and support the CPI Course because it is exactly the type of education and programming we need. It is aligned with our LPGA T&CP Education, being research based and student centered. The fundamentals as well as the equipment are covered, and you can develop a very effective clinic from the course content. Vangellow has seen the benefits of being a CPI first hand as Director of Instruction at Riverbend Country Club in Houston, Texas and has developed an annual “Putting Extravaganza” to kick off each season which covers everything in putting and attracts many members. Vangellow is a standout student athlete in her own right and was named LPGA National Teacher of the Year in 2012. She holds both a BA and a Master Of Science Degree in Health/Physical Education/Coaching and Educational Leadership/Psychology from the University of Northern Iowa and Miami (Ohio) respectively. She was inducted into the University of Northern Iowa Sports Hall of Fame and the Northern Iowa School of Education Hall Of Excellence. Vangellow is extremely well qualified for her position as National President of the LPGA T&CP Membership. “When we ran for office, our platform had 3 components — Vision, Value and Visibility – and the CPI Course fits the Value component; continuing education offerings of this kind increase our membership value. “I really want to continue to raise the profile of our Teaching and Club Professionals and expose to more people who we are and what we do so well. I would like people to know that our LPGA Education/Certification is excellent. It is research based and student centered, as is the CPI Course. The LPGA Teacher Education Program is unique in a number of ways including that it is clearly a learning and performance model. Peer Evaluation of each member teaching lessons is an important piece without a doubt, with members demonstrating knowledge and practical application. 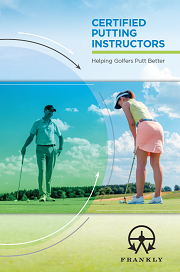 We don’t teach golf…we teach PEOPLE to PLAY golf. We all take great pride in honoring each unique person with improvement in and enjoyment of this wonderful game well all love, with great care and interest,” said Vangellow.